Iranian airlines face turbulent times as the fuel prices skyrocket, increasing ticket prices have pushed passenger traffic to its lowest levels in many years, and the high cost of foreign currency has pushed up the cost of buying equipment and maintaining the fleet, AFP reports from Tehran. The state-run National Iranian Oil Refining and Distribution Company tripled the price of jet fuel in October. Price of jet fuel for international flights has tripled to 21,000 rials from 7,000 rials per liter. Price of jet fuel for domestic flight has also risen by 75 percent. Airliners also need to pay for purchasing equipment and maintenance in hard currency. The cost of purchases and maintenance had doubled as the rial has lost more than half its value against dollar in the last year. 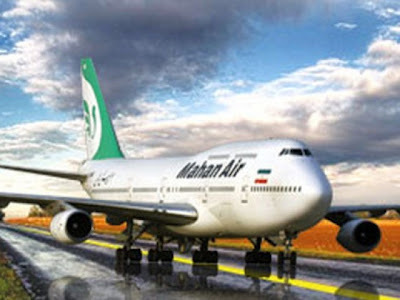 In January, the planes of domestic airlines, Mahan Air and Aseman, were grounded for a few hours by NIORDC that refused to refuel them because it said they were behind on their payments. The state-owned jet fuel supplier now demands cash up front from all airline companies, media reports say. Austrian Airlines and Dutch carrier KLM are stopping their service to Iran, citing lack of demand due to higher ticket prices for Iranians. Other European carriers Lufthansa, Alitalia, Turkish and Aeroflot however still land in Iran. When the the whole country is in a mess,what do you expect of its decrepit airlines? At least they are not buying crappy Boeing "dreamliners".LOL. I wonder what happened to that AN-148 passenger jet license production accord that was supposedly set to be ratified in the coming weeks, for more than a year already ? The day Iran buys crappy US planes is when hell will freeze over LOL. In regards to the AN-148 it is being held-up due to Russian-Ukranian problems. Iran should go with Chinese regional jets and upcoming Chinese large passenger jets. Airbus and China will rule the aviation industry of the future. Boeing is going the same way as the US, down in the garbage bin of history. Well consider hell frozen over already! Because Iran operates a large number of US planes,Boeing 747s commercial and military,707 military,727. I see you again trying to convince us that the Chinese screw driver economy is going to be the best thing since the invention of sliced bread. Just in case you don't know,the Chinese are assembling parts of the Boeing 787 before being shipped to assembly point in US.Maybe the fault lies in the Chinese workmanship and negligent attitude towards human life. And last but not least,the only entity that justifiably deserves an honorable place in the garbage bin of history is the rotten and sub human Islamist regime occupying Iran.So enjoy while it lasts! the remainig larger airlines making more profit. That right Anon 3:56,it doesn't matter if some of them go bankrupt.Just like if it doesn't matter if the country goes bankrupt,more for the Chinese,LOL! Hello Comrades!!!! It is I, Vlady (ex KGB agent, now leader of the world...LOL!!!) Putin!!! You should buy your aircraft from russia....we have never had any of our airliners crash....ever....our fleet of jets we sold to North Korea in 1965 is still flying without an accident or crash....this proves we are the best aircraft makers and our aircraft tech is out of this world!!!! Please do not take passports away from your women.....they need to fly too!!! I love persian women!!! Why are you mullah boys so afraid of women anyway???? ?